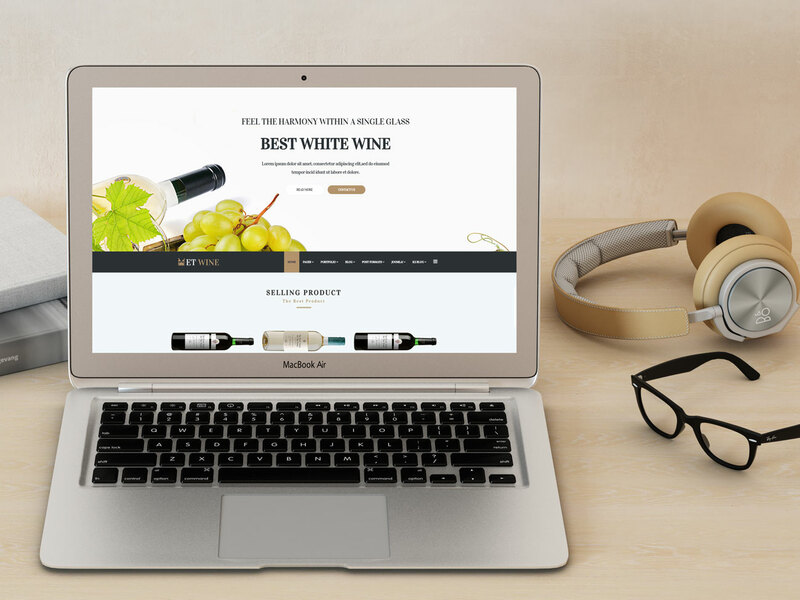 ET Wine is premium unique WordPress theme that targets for winery and online wine store. 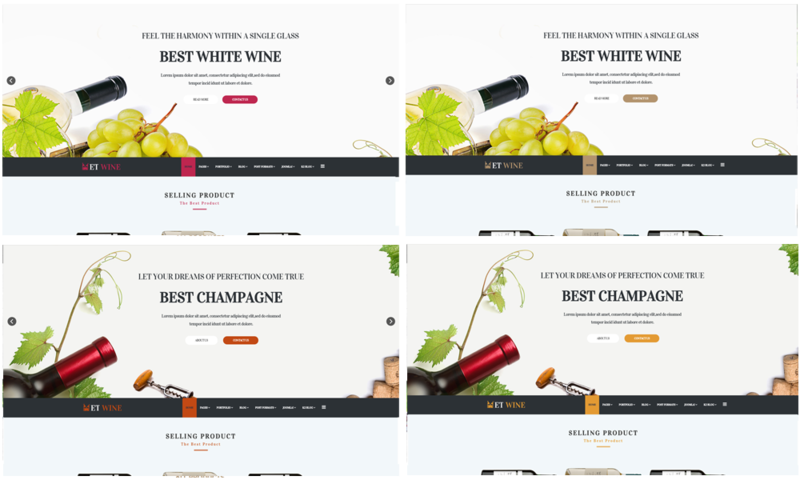 The Wine WordPress Theme is elegance and refinement. 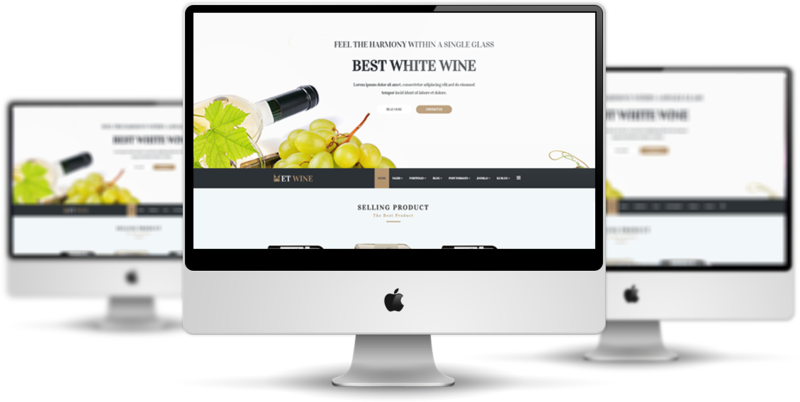 Beside, wordpress ecommerce theme is especially designed to stimulate the viewers’ creativity and desire for fine quality wine. It builds with Genesis Framework, shopping cart support by WooCommerce. 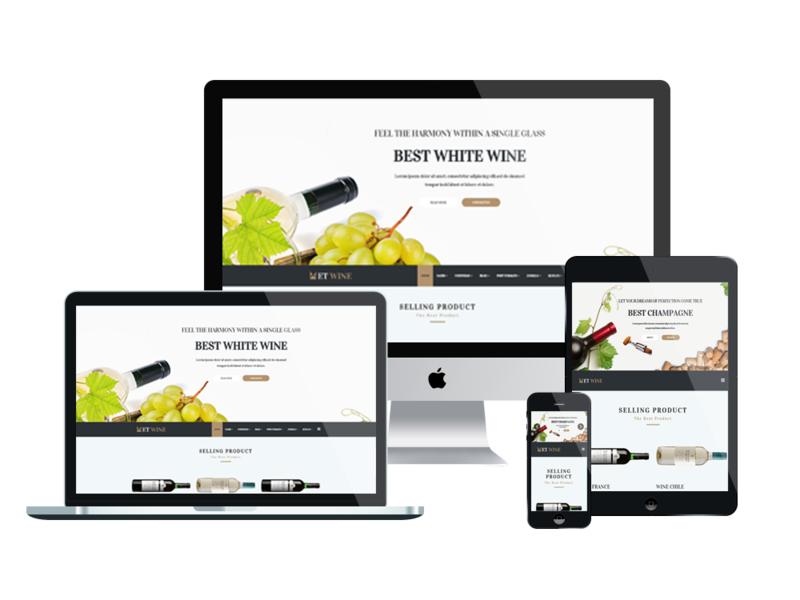 And our layouts promote modern & dynamic designs that impress any wine lover and offer an amazing experience for anyone landing your pages. By combining the finest stock images with visual effects and stimulating colors, we managed to create a mysterious and pleasant atmosphere that any wine lover will appreciate. Also, they are extremely easy to install and implement. Morever, Wine WordPress Theme is modern and supports crossbrowser compatibility allowing anyone to visit your site. If you ignore the need of a professional theme that is specially created to enhance the online experience, then you risk losing some of your most important clients. ET Wine WordPress Theme with fully responsive layout based on Bootstrap CSS. It has special built-in design optimized for modern mobile devices iPhone, Android and Windows Mobile-based. ET Wine WordPress Theme supports 4 color styles helping to create gorgeous websites with various layouts. If you like another color without 4 default color styles, you can change it via Theme Settings easily with unlimited colors based on Color Style. It’s also easy to extend color styles.